I’m going to use this time to “complain” about something that I really shouldn’t “complain” about at all: the use of odd ingredients in beer. Don’t get me wrong, this is something that I love as a beer consumer. As a beer reviewer it’s a whole different story. 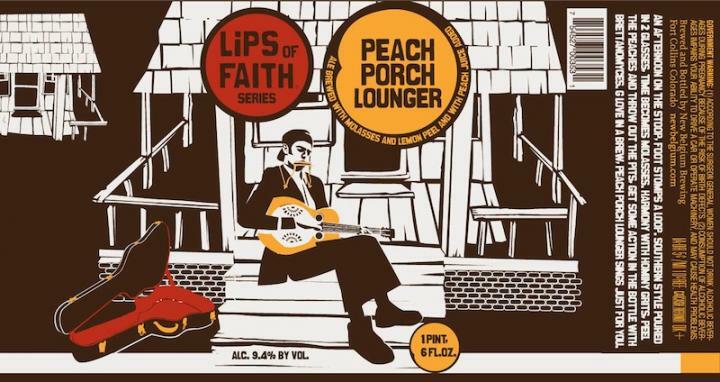 More often that not when a brewery has made a beer using some unique ingredient like lychee, yarrow, or some other fruit/plant I’ve never heard of it both excites me and annoys me. 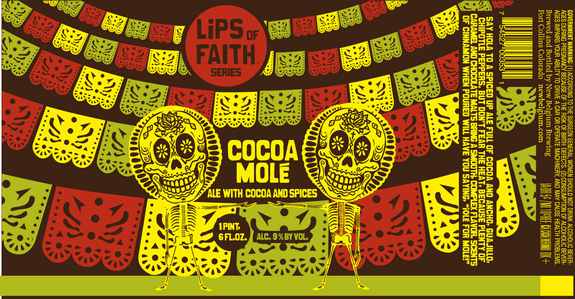 I love weird ingredients creating a unique take on a beer style that I’ve tried 100x before, but when it comes to reviews I hate not knowing what I’m looking for or how to detect said flavor/aroma. There’s been numerous times where I’ve found myself saying something along the lines of “I don’t know what this weird smell/taste is, so it must be that odd ingredient I’ve never tried before”. 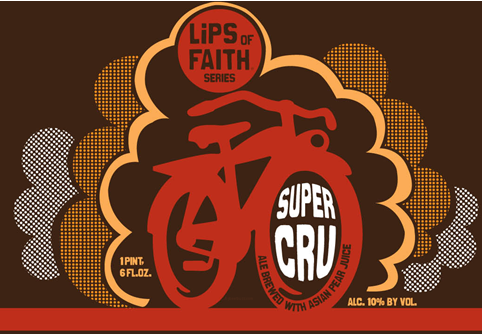 This is frustrating, especially for someone like myself who is always trying new beers. Now I do realize that my “annoyance” should be with my unrefined palate and not with the brewers/beer, but self-reflection is not my strong suit, that is what the blog is for. Where was I going with this? Oh, yeah, a new beer review. A beer using a fruit that I’ve never had because I’m a plebeian. Check it out. 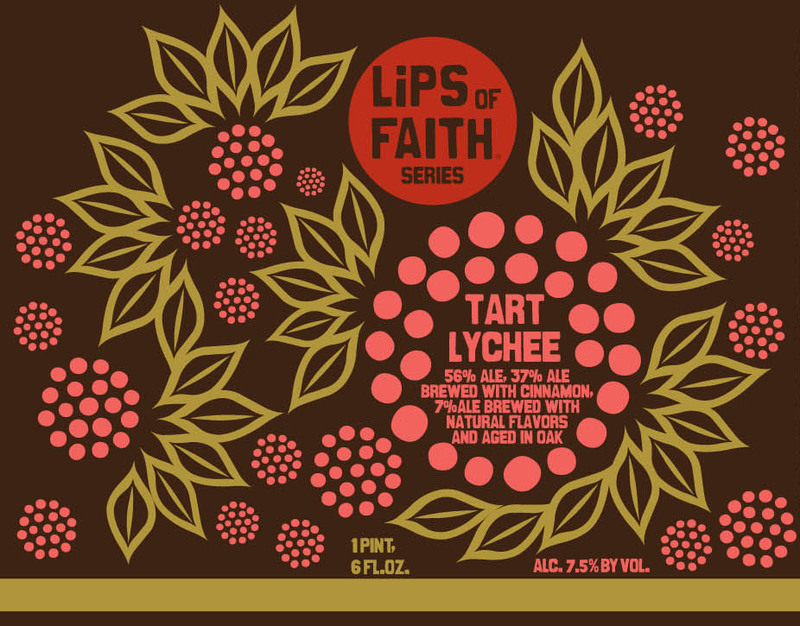 TART LYCHEE is part of New Belgium Brewing’s ‘Lips of Faith’ series. This American Wild Ale clocks in at 7.5% ABV. Week 3 of MONDAY MORNING QUARTERBACK takes us to the Mile High City of Denver, Colorado. 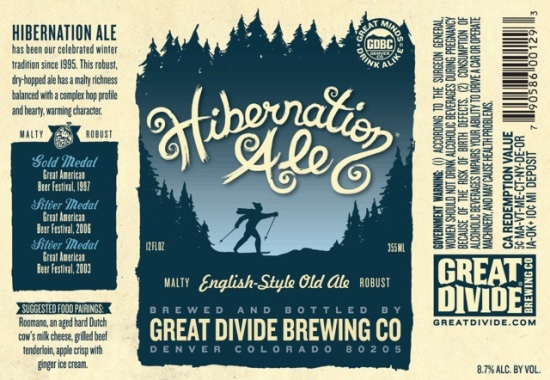 Great Divide Brewery has been serving the people of Denver for almost 20 years and in that time they made quite a few fantastic brews. Today we’ll be discussing their multiple award winning Old Ale. 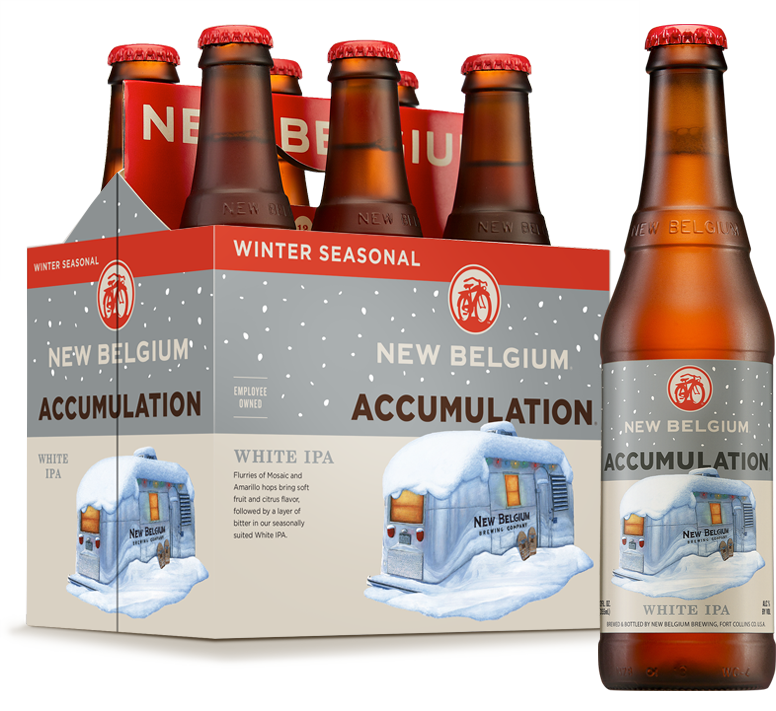 HIBERNATION ALE is available seasonally (in the winter time, obviously) and comes packed with a warming 8.7% ABV. I picked up this beer in a Great Divide mix-pack. Mix-packs are one of my favorite ways of discovering beers that I’ve never tried before and/or would never buy on their own. This is one of those cases. It wasn’t until recently that I made the choice to start trying more lagers. Traditionally, I felt that the brewing process retarded the brewers ability to create a unique and flavorful beer, but I’m starting to see the error of my ways. 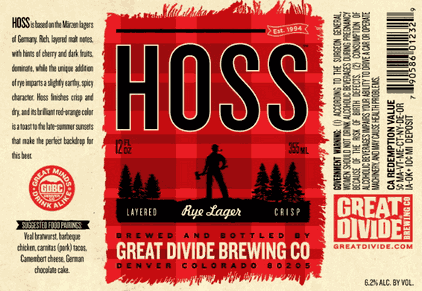 HOSS RYE LAGER is a Märzen with a 6.2% ABV.